Padang Bai Bali offers a treat for relaxation, spend a few days holiday, and enjoy the atmosphere of secluded and hidden beaches. Visitors can relax at the bar, spend time with a bottle of beer in hand, and have a view of the beautiful port town. The beach attraction in Padang Bai includes the Main Beach, Blue Lagoon and Bias Tugel. All of them are wonderful snorkeling and diving location in Bali. Not only corals, divers can also observe hundreds of species like clownfish, anemone, napoleon wrasses, trevallies, and more. While on spiritual side, this place had been covered by spiritual atmosphere since long ago related to the existence of its major temples. Let's take a closer look to the amazing of Padang Bai Bali! 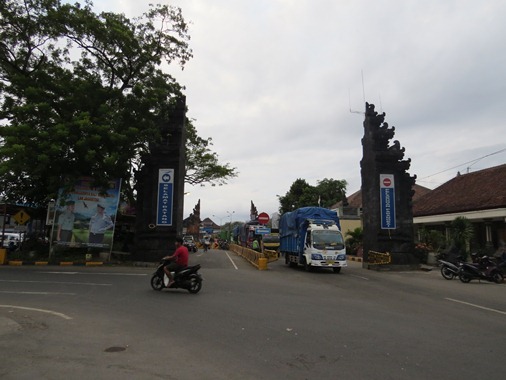 Padang Bai is located at the District of Manggis, Karangasem Regency, Bali. Visitor can access this location directly from Ngurah Rai International Airport, about 56 Kilometers (1 hour 30 minutes). Padang Bai Bali offers a treat for relaxation, spend a few days holiday, and enjoy the atmosphere of secluded and hidden beaches. This woderful place is a small port town located in the eastern part of Bali. The wide variety of accommodation is available in Padang Bali from budget-accommodation, mid-range, to splurge. Accommodations are located behind the beach along the main road. Just before entering the port gate, turn to the left, walk along the road leading to the cove and Pura Segara (Jalan Segara). You will be greeted by white sandy beach with the port in the right side. Along this road, there are many activities such as small café, dive shops, spa, bar, small shop or food stall, boat ticketing and ATM Bank Mandiri. Around Pura Segara is a place for double outrigger boats owned by local’s fishermen. This traditional boat is very beautiful and colorful. Visitors can relax at the bar, spend time with a bottle of beer in hand, and have a view of the beautiful port town. The port is usually used for crossing to Lombok, Nusa Penida, Gili Islands, and other islands in Nusa Tenggara Barat. Mentioned in the Inscription Kehen B that Mpu Kuturan follows his brothers to Bali by boat and landed in Padang (Padang Bay) in the year of 923 saka or 1001 AD. Then he founded the Temple Silayukti. At the time of arrival of the Dutch, Padang Bay is replaced into Padang Baai. Baai in Dutch means cove or bay. Then Padang Bay or Padang Baai better known as Padang Bai. Padang Bai Harbour Bali has a total area of 33.715 m2. This port was built in 1994 and began operations in 1997 under the management of PT. 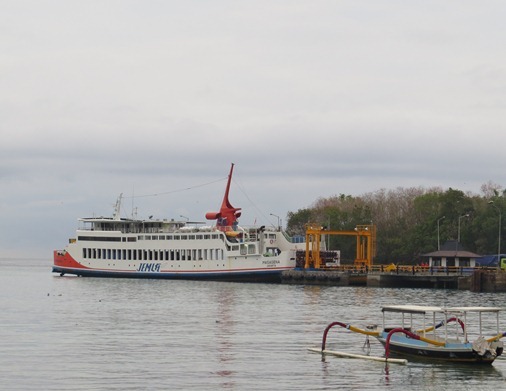 ASD Indonesia Ferry (Persero). Padang Bai has trestle area of 250 m2 and the number dolphins (where the ship rests on piers built in trestle) are 4 pieces. The harbour is also equipped with facilities such as parking, office buildings, waiting rooms, ticket window, signs, fare and schedule information. The beach attraction in Padang Bai Bali includes the Main Beach, Blue Lagoon and Bias Tugel (White Beach). 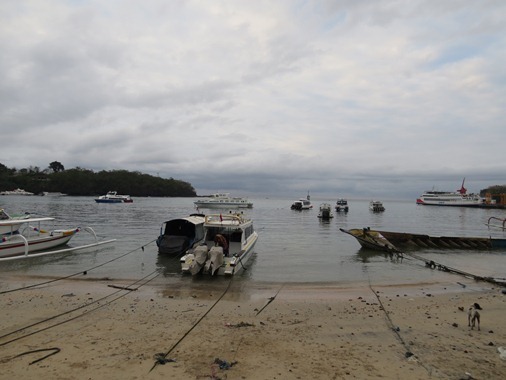 The Main Beach functioned as the ferry port and a place for double outrigger boat owned by local's fishermen. The beach is not ideal for swimming and looks messy. The main beach has white sand, shallow waters, row of colorful fishing boats and the surroundings create a beautiful panorama and relaxed atmosphere of this beach. Blue Lagoon Beach is located at the eastern side of the Main Beach. Visitors can follow the route to the left before the port and follow the main road (Jalan Silayukti). This beach has crystal clear water make the view of underwater so evident. Blue Lagoon is a secluded beach and has beautiful coral reef. Coral reefs are very close to the shoreline. The snorkeler can really enjoy their underwater adventure here. But be careful, an abundance of coral reefs and rocks can be frustrating and dangerous. Bias Tugel Beach is also known as White Beach. This beach has beautiful white sand and visitors can swim here. But remain cautious because the current can be very strong. The location of Bias Tugel Beach is a little bit hidden and visitors need to do a short of hiking to reach it. Visitors will be greeted by a stunning panoramic of Mount Agung, amazing surrounding and the beautiful white sandy beach of Bias Tugel. All of beaches in Padang Bai Bali include the Main Beach, Bias Tugel, and Blue Lagoon are wonderful snorkeling location. Main beach has shallow water but the reef is located a bit far from the beach. Bias Tugel offer more quiet snorkeling spot that is located west of the main beach. But among those beaches, Blue Lagoon offers the amazing location. Blue Lagoon Bali Snorkeling is one of the best snorkeling spot in Bali. The beautiful corals reef with crystal-clear water conditions make the snorkelers enjoy their underwater adventure. Blue Lagoon is a paradise for snorkeler from various skill levels. This beach has a beautiful reef garden and the water is calm and shallow. The shoreline is directly adjacent to the reef garden. It makes Blue Lagoon as a safe and fun for underwater tourism. The snorkeler can explore the coral reefs, met with cuttle fish, angel fish, cow fish, moray eels and more. This beautiful bay is also famous for diving. The dive center is complete with restaurants. Padang Bai Diving Site Bali include Blue Lagoon, Temple, Tanjung Sari, Ferry Channel, Jetty, and Bias Tugel (White Beach). The beauty of the reef garden in the form of hard and soft corals, variants type of gorgonians, staghorn corals, huge bommies, and table corals decorate the underwater. Not only corals, divers can also observe hundreds of species like clownfish, anemone, napoleon wrasses, trevallies, lionfish, cuttlefish, green turtle, frogfish, octopus, shark, nudibranchs, lobsters, etc. Padang Bai diving center also provides night dive. Night dive gives a different sensation with the presence of several rare species such as fish and crustaceans (strange crabs, shrimps, and lobsters) that hiding during the day. Padang Bai diving site are suitable for all skill levels (beginners, diving courses, as well as professional). Best time to dive is in the morning when the current is still quiet. The current is mild to moderate. Visibility is excellent between 15-30 meters. The water temperature sometimes becomes a bit chilly. The snorkeler will be amazed by the rich underwater and the unusual species. Padang Bai Bali had been covered by spiritual atmosphere since long ago. It's related to the existence of major temples such as Pura Tanjung Sari, Pura Segara, Pura Telaga Mas, Payogan Pura and Silayukti Temple Bali. Pura Tanjung Sari is believed to be "Parahyangan" of Mpu Baradah. Mpu Baradah is the younger brother of Mpu Kuturan. Mpu Baradah had come to Bali with the intention that one of the sons of King Airlangga in East Java can become a king in Bali. However, Mpu Kuturan did not agree with this request. Before returning to Java, Mpu Baradah stayed a while in Bali. He founded a temple named Pura Tanjung Sari. 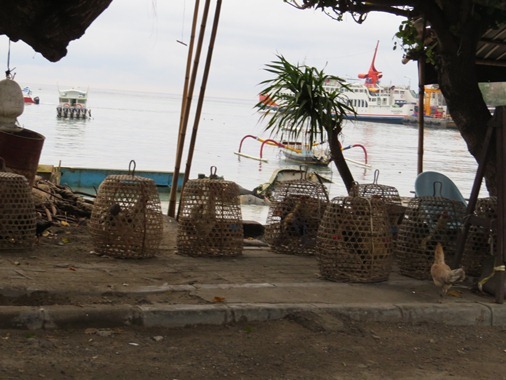 Pura Segara is closely associated with the activities of traditional fishermen in Padang Bay. Fishermen seek livelihood at the sea such as catching, fishing and so on. Therefore they are as fisherman set up a temple called Pura Segara. A sacred place as an expression of gratitude to the ruler of the seas on the abundance of fortune and invoke the protection during activities at the sea. 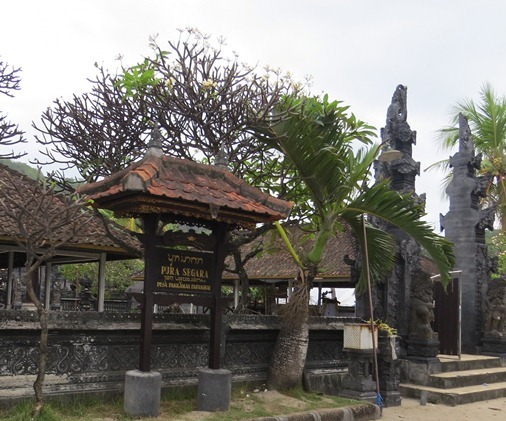 Pura Telaga Mas is believed to be "Pesraman" of Mpu Kuturan. Pura Payogan is situated in the steep coastal cliffs. This temple is believed to be a place of Mpu Kuturan to do meditation. Pura Silayukti itself has a long history. This temple is associated with the arrival of Mpu Kuturan. 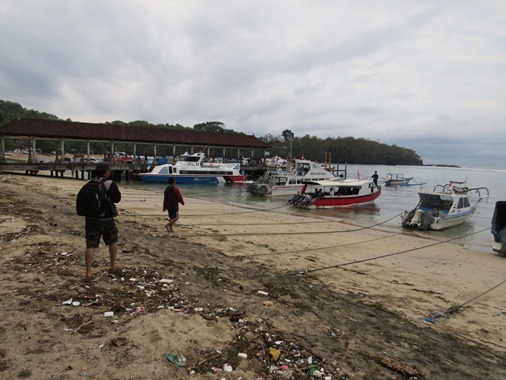 Mpu Kuturan follows his brothers to Bali by boat and landed in Padang (Padang Bay). Then he founded the Silayukti Temple Bali. He came to Bali in the year 923 Saka or 1001 AD in order to organize the social life of the Balinese religious. The religious life condition of Balinese people at that time was colored by the many religious sects. 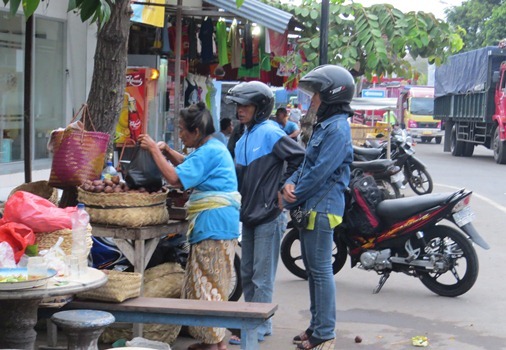 These circumstances create un-conducive environment to the religious life in Bali and certainly difficult to organized. Mpu Kuturan approaching each sects and hope all of them can be unified. Mpu Kuturan together with the representatives of each sect religious succeeded in making the religious concept named "Tri Murti Tatwa" consisting of Brahma, Vishnu, and Shiva. To perform the worship of God in the form of Tri Murti then Mpu Kuturan suggests establishing "Pura Kahyangan Tiga" in each Pekraman village. Pura Kahyangan Tiga consisting of Pura Desa or Bale Agung, Pura Puseh, and Pura Dalem. Pura Desa or Bale Agung for worshiping God in manifestation of Brahma. Pura Puseh for worshiping God in manifestation of Vishnu. While Pura Dalem to worship God in the manifestation of Shiva. For a smaller scale, in each home residents is founded "Sanggah Kemulan (Rong Tiga)" for worshiping God in the manifestation of Hyang Tri Murti. Mpu Kuturan is a spiritual leader and also one of the Panca Pandita. Panca Pandita consists of Mpu Gnijaya, Mpu Semeru, Mpu Ghana, Mpu Kuturan and Mpu Baradah. Mpu Kuturan is known as Senapati Kuturan. He is also called Mpu Rajakerta. Mentioned in Lontar Usana Dewa and Lontar Kusuma Dewa, Mpu Kuturan has taught ways to establish a place of worship, Pura Kahyangan Tiga, and also the establishment of Sad Kahyangan in Bali. He also bequeath the architectural of shrines known as Meru or overlapping roof temple. Meru is a manifestation of the mountain but more deeply Meru is the embodiment of the universe and everything to do with the spiritual aspect as a sacred place of god. This is why Bali is known as the island of thousand temples. Padang Bai Bali is a wonderful port town and worth a visit! Take your time to travel to Padang Bai Bali, hopefully helpful and thank you!